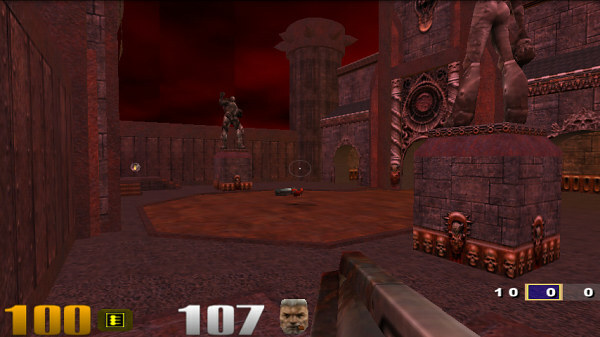 After the invasion on Nokia N900 and Motorola MILESTONE, Quake 3 has now been ported on the Google Nexus One. It runs on medium 3D settings, but still feels good. The Nexus One doesn’t pack hardware keyboard as the MILESTONE, but still manages to sport everything you need to play well. The trackball is used as a mouse, pressing it will shoot ahead. The volume rocker acts as walk/jump combo. I’m not sure what happens if you want to jump while running, but still the choice of controls seem decent. Unfortunately, there is still no info how to put one of the greatest FPS of all time in your Nexus One, but I expect more will be revealed soon. While waiting on that I hope someone finds a way to connect some wireless gaming pad to the Google phone.